What’s the difference between Visa & MasterCard? The two leading credit card companies in the world today are the competitors Visa and MasterCard. Both Visa and MasterCard operate in a very similar way. While Visa claims to have 2.4 billion cards issued, across more than 200 countries, MasterCard avoids direct comparison by saying it processes over 18 billion payments per year. It is difficult to find any difference in the number of locations worldwide that accept the cards, now estimated at close to thirty million. As far as most consumers are concerned, there is no real difference between MasterCard and Visa. The two are both widely accepted in over two hundred countries and it is very rare to find a location that will accept one but not the other. However, neither Visa nor MasterCard actually issue any credit cards themselves. They are both simply methods of payment. They rely on banks in various countries to issue credit cards that use these payment methods. Therefore, the interest rates, rewards, annual fees, and all other charges are issued by your bank and when you pay your bill you are paying it to the bank or institution that issued your card and not Visa or MasterCard. How Visa and MasterCard makes their money is by charging the retailer for using their payment method. So, the truth of the matter is that a Visa issued by one bank will have very little to do with a Visa issued by other banks. 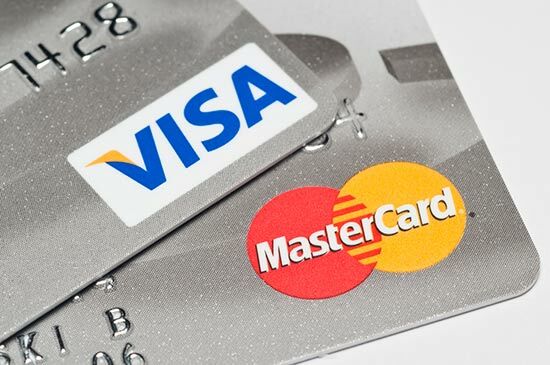 There are slight differences in what Visa and MasterCard will charge the banks for things like foreign currency conversion fees but, by and large, the two remain competitive on basic offerings. The battleground for winning wallet-share seems to be in high-end rewards offered. Platinum cards, in particular, offered by Visa and MasterCard give the card-holder all sorts of concierge and assistance services, plus exclusive offers to major concerts, sports tournaments etc. These platinum rewards are designed to tempt banks and other financial institutions into promoting one or the other, Visa or MasterCard, to their customers. Back to the question that perplexes most people, which provider is best – MasterCard or Visa? You would be better off concentrating on the interest rate and other charges on the card, the balance transfer possibilities or their reward scheme. It’s not unusual, though, to see some consumers who have two credit cards in their wallets, one a Visa and the other MasterCard. The thinking behind this is, if they were in the unusual position of finding a location that accepts one but not the other, they would have the option of paying with either. Some people also like to take advantage of exclusive offers from both card types. At the end of the day, much more depends on the bank that gave you the card, rather than on the type of card it is. In 2016, Canstar rated 44 credit cards. Using the ratings report and table , check out how they fared when it comes to interest rates, card features, rewards programs, and value. Canstar provides an information service; it is not a credit card provider and, in giving you information about credit cards, Canstar is not making any suggestion or recommendation to you about a particular credit product. The Star Ratings in this table were awarded in January 2018. The search results do not include all providers and may not compare all features relevant to you. View the Canstar Credit Cards Star Ratings Methodology and Report. The rating shown is only one factor to take into account when considering products. Canstar may receive a fee for referring you to a product provider.